You can’t lock your bag against them (they have the master key) and you’re required by law to blindly turn your luggage over to them. But can you trust the TSA? We have our doubts after Michael Pujo, a TSA agent at Miami International Airport, was arrested last week for allegedly stealing valuables (such as iPods) from passengers’ luggage and then reselling them on Craigslist. According to the Huffington Post, Pujol’s wife and accomplice admitted that the couple had been running this larceny ring for the last three years. Think you’ll be safe if you don’t check a bag? 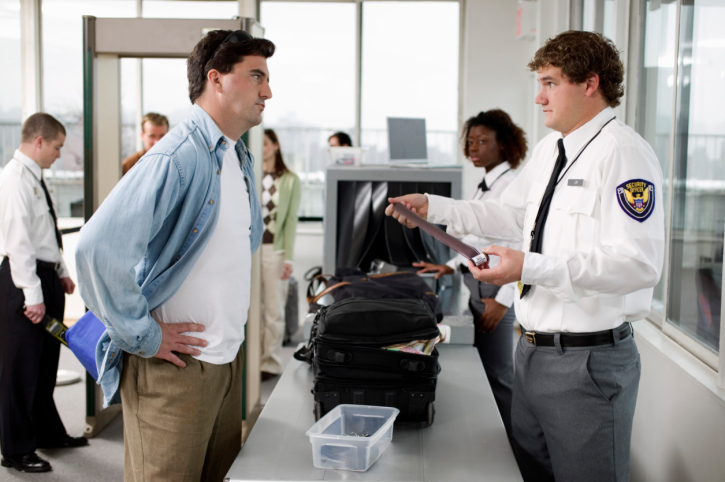 Better keep an eagle eye on your stuff as you go through the metal detectors, too: There have been reports of TSA workers trying to steal laptops that forgetful flyers leave behind at security. Last year there were also incidents with TSA screeners at JFK and Newark allegedly stealing cash from passengers’ bags. So how can you protect your valuables from sticky-fingered screeners? First, never pack anything valuable in your checked luggage. Second, order your personal items strategically as they go through the X-ray machines. Try to put less important items (like jackets, shoes, and laptop cases) through the machine first, followed by more important/expensive items like iPods, laptops, etc. This way you can (hopefully) be done with your pat-down and able to watch your valuables as they come out of the machine. Before you leave the area, triple-check that you’ve collected all your items, including your change (which the TSA legally keeps).